Now that we have a brand new catalog and some fabulous new Designer Papers it means that I have a whole stash of newly retired Designer Paper that needs to get used up. Today's feature card will be out for the ladies to stamp at the COME STAMP WITH ME TUESDAY class today and it was Inspired by Carolina Evans on Pinterest. The Designer Paper I'm using is called Pop of Pink. I loved this Designer Paper so I stocked up on it. This paper is basically Black, White, Melon Mambo and a couple sheets of Gold embossing on white. 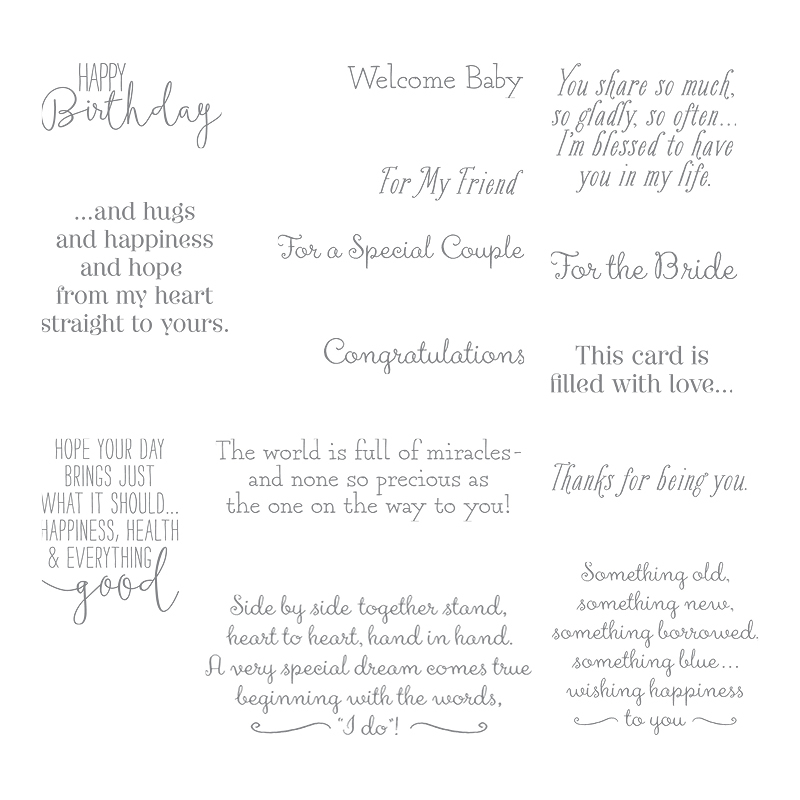 The sentiment is from a fabulous NEW stamp set called SPECIAL CELEBRATION . 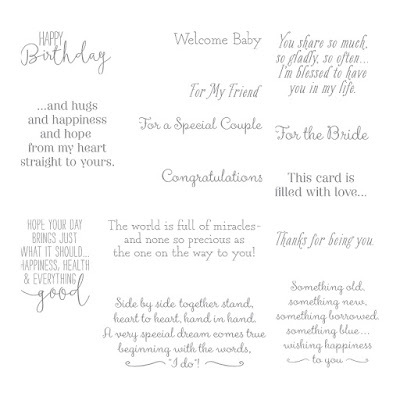 We are always begging for stamp sets that have great greeting for the inside of your cards and this set is perfect, teaming up a sentiment with a greeting. 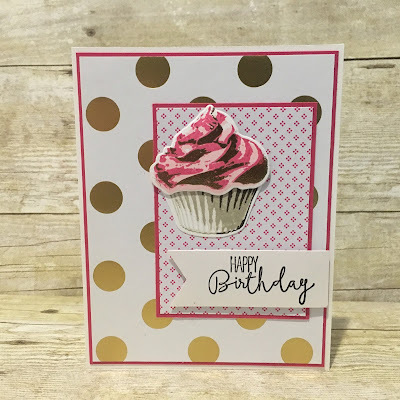 The key to stamping the cupcake is to stamp the solid image of the frosting in Pink Pirouette, the second stamp in Melon Mambo THEN: swipe your Embossing Buddy over both colors before stamping the third stamp in Versa Mark and embossing it with the Gold Embossing Powder. (the stamps are numbered on the clear acetate that the photopolymer stamps are adhered to in the case. By using the Embossing Buddy it will keep the embossing powder from sticking to the first 2 colors. However if your order is $150 or over you can be your own hostess and receive the 10% Hostess Rewards.